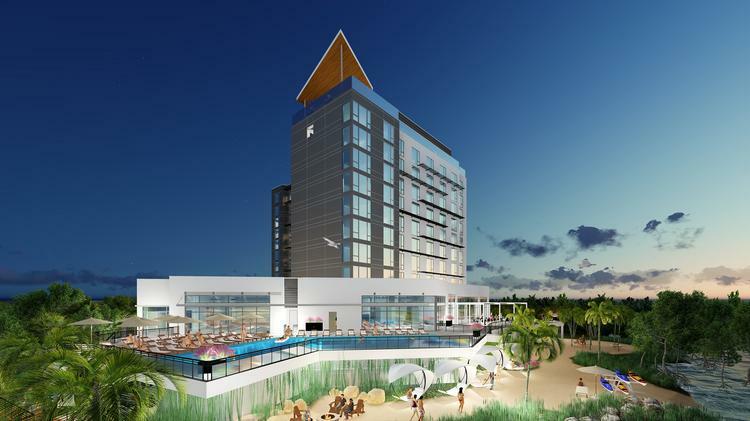 A new boutique hotel with a rooftop bar, Current, is coming to the Rocky Point area and will be the third member of Marriott’s Autograph collection in Tampa joining Epicurean Hotel in South Tampa and Waterline Marina Resort & Beach Club on Anna Maria Island which opens later this year. The property is breaking ground this week (March 30th) on the old Crawdaddy’s restaurant location. It will feature 180 rooms on 9 stories. To read more on the history of the project and see the video, click here. For further reading, check out this other article by clicking here.